I Think My Home Has Mold, Now What? Maybe you will be a fortunate person that will never ask yourself this question, but for the less fortunate ones out there, what should you do? Well step one in my book is, have your home assessed by a certified and knowledgeable professional. You will more than likely incur a fee for this so be prepared, but you wouldn’t go to the doctor and expect him to diagnose and treat you without paying something would you? HOME BUYERS BEWARE, MOLD MAY BE LURKING! Imagine, you have just closed on buying a home, and for some of you, this is your first home. You are beginning your move in process, and are now paying closer attention to the home that you just purchased. Finding special places for all of your belongings, and dreaming how wonderful it is going to be in your “new” place. You are finding yourselves becoming more and more familiar with the home. Then all of the sudden, it appears, MOLD! In a recent article that I contributed, I spoke of what you need to do if you discover mold in your home or business. The answer in short was to hire a certified and knowledgeable indoor environmental professional to come and inspect your home or business. What I did not discuss in detail was what certified really means. In March of this year, breaking news hit the indoor air quality industry that will help in defining an individual that holds a training certificate versus an individual who holds a professional certification. What is the difference between mold and mildew, or is there a difference? This question, though simple, is often confusing to a person trying to resolve a household problem involving one of the two. Mold and mildew basically have the same goal, to thrive on and devour or break down an organic object. 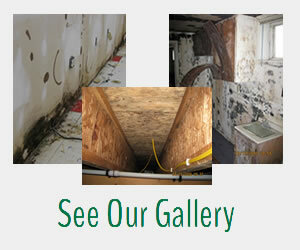 Mold and mildew are often referred to in the same sentence. Neither is in the plant or animal family and both are considered fungi that have enzymes used to break down organisms. Is Poor Indoor Air Quality Affecting your Health? Indoor air quality is important to human health because individuals spend a large fraction of their time indoors at their residences, schools and workplaces. In a study conducted by the EPA, it was found that on average a person spends 87% of their time indoors. This is broken down into 69% spent in residences and 18% spent in other indoor locations. Obviously in Nebraska during the winter time, these numbers are going to increase because of the cold weather we experience. MOLD ISSUES with Buying or Selling a Home. It is inevitable that most people will eventually buy or sell a home. Since my beginning days in the indoor air quality industry, I have been involved with real estate mold inspections that uncover mold issues and stop the sale of homes repeatedly. In some cases, it was the mortgage lender halting the transaction, because obviously it is in their best interest not to lend money on a home with a mold issue. SEPTEMBER IS MOLD AWARENESS MONTH. With September being “National Indoor Toxic Mold Awareness Month”, I would like you to take a step back and evaluate the potential for mold growth in your home. Established by the United States Environmental Protection Agency (EPA), the purpose of Mold Awareness Month is to educate homeowners about the negative financial and health-related effects of indoor molds and toxins. Mold vs. Bleach, Who Wins? Well as several small studies will say, as little as 50% of mold growth is killed by bleach. First, we must understand what bleach is. Bleach in general terms is a strong oxidizing agent and kills many microorganisms. There are two common types of bleach: oxygen bleach, which contains hydrogen peroxide, and chlorine bleach, which contains sodium hypochlorite. SPRING MOISTURE IS COMING, WILL YOU BE READY? Good bye Old Man Winter, hello Spring Showers! The question is will your home stay moisture free this spring? Springtime can be one of the most damaging seasons of the year to our buildings and homes from a moisture perspective. With all of the snow that we received this winter, the ground is saturated and still frozen. This will present a problem when spring rain comes our way and also when the ground thaws. So long as the ground is frozen the moisture will collect in low parts of our lawns or may even run straight to that big hole in the ground called a basement. Studies Show Link between Asthma and Mold. For quite a few years, I have been reading numerous case studies from scientific researchers around the globe about the links between asthma, dampness and mold. I’ve patiently been waiting for the government to stand up and willingly say that indoor air quality issues from mold cause adverse health effects. I’m sure glad that I haven’t been holding my breath. WILL YOUR HOME STAY MOISTURE FREE? As we start to look around, we are seeing the beauty of springtime. The trees are budding and producing leaves, the flowers are blooming, and the grass is green. Yes, once again those April showers have brought us May flowers. With that rain though, can also come the dreaded MOLD that everyone fears seeing. So what can we do to prevent such a nightmare from happening? Well to put it quite simply, keep our homes dry.